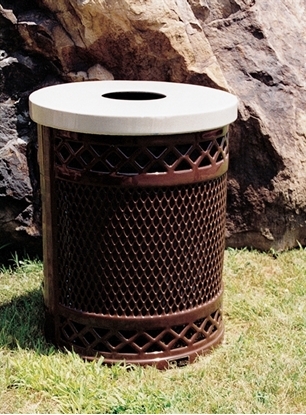 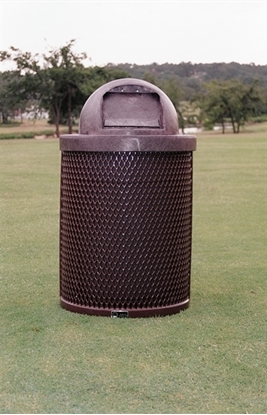 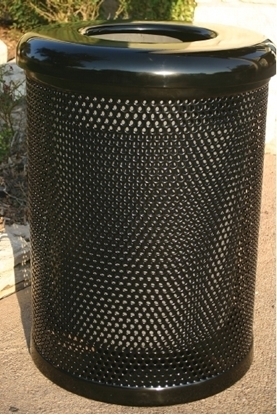 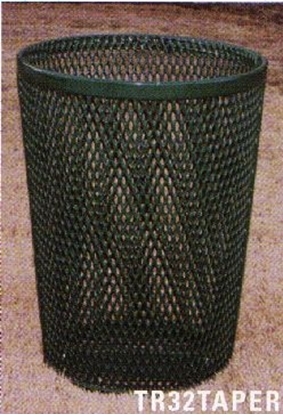 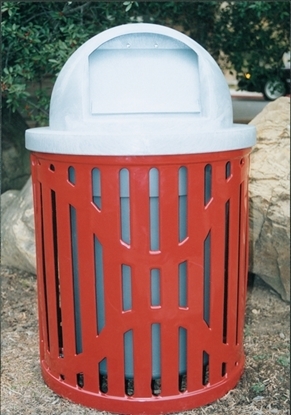 Plastic Coated Steel Outdoor Trash Cans are found in parks, cities, and many commercial buisnesses. 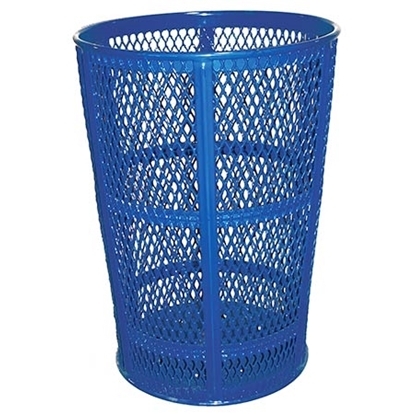 Choose your favorite style and color to meet your design needs. 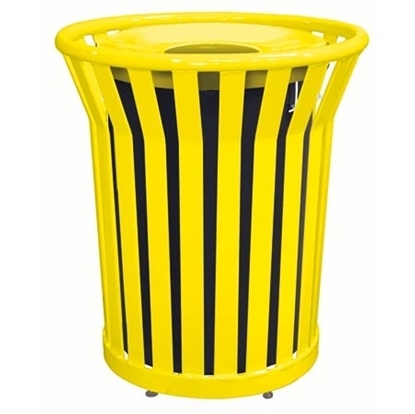 These trash cans are vandal resistant and heavy duty! 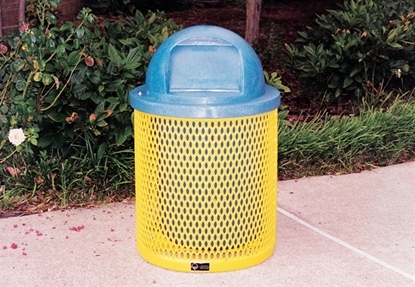 When factories learned how to shape steel and cover it with plastic the use for these trash receptacles exploded. 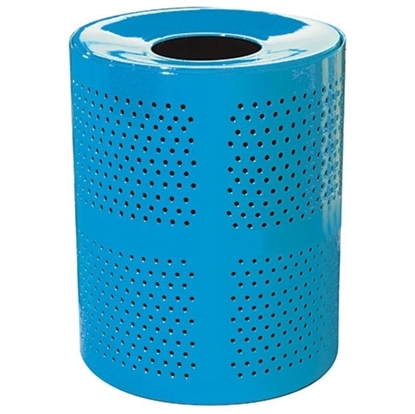 What a great product this is to give the toughness of steel with the colorful and cleanliness of plastic. 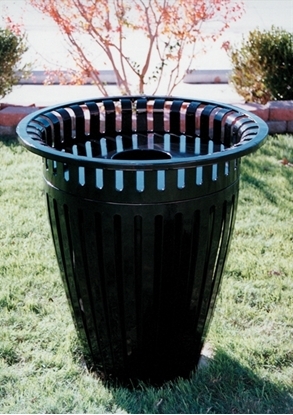 Spray paint can be wiped off to keep even the most stuborn vandal away. 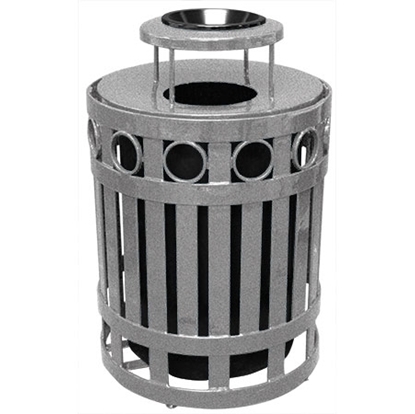 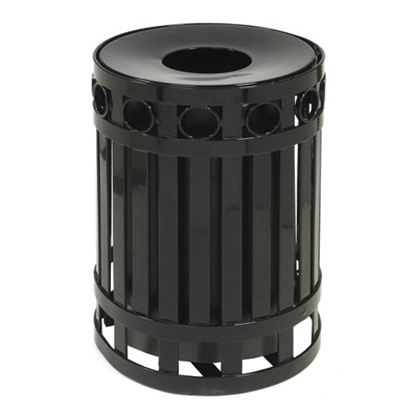 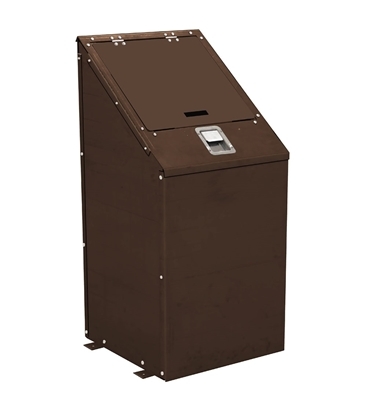 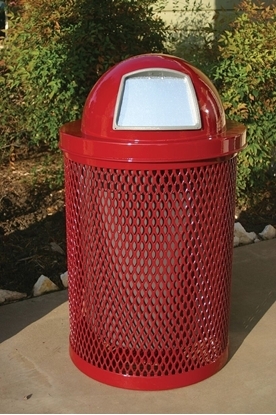 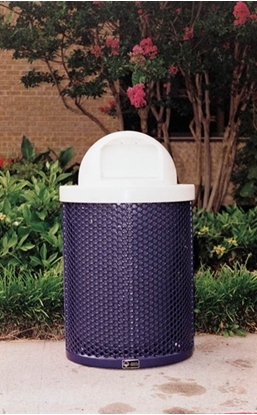 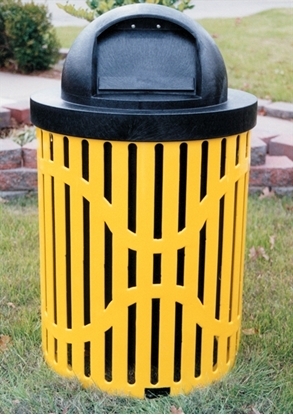 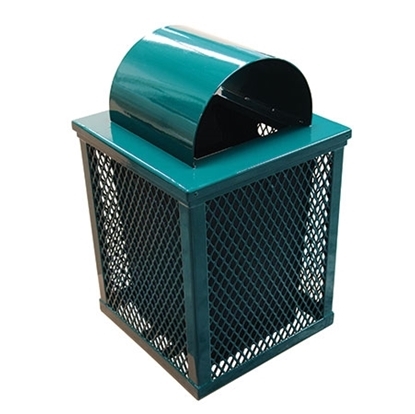 Colorful and practical Plastic Coated Steel Trash Receptacles come in many shapes and sizes. 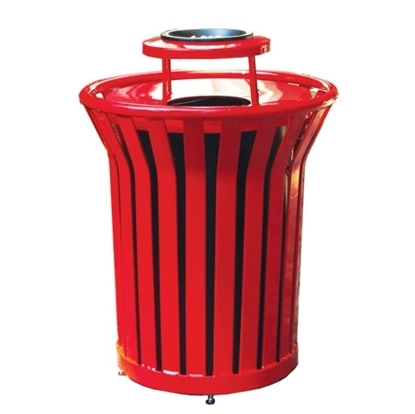 You will find these in cities for street scape site amenities.